How does fish for dinner sound? With such a great variety of fish available you can cook many great meals for everyday dinner and special occasions too. Actually, you can eat fish every day and still don’t get enough of it. And there are many reasons to do it because fish is healthier than red meats in your diet. The only important thing is to keep it varied, interesting and tasty. If you’re looking for more fish recipes to add to your cookbook, here are 50 that shouldn’t go unnoticed. You have to try every one of them and you won’t regret it if you do. There’s salmon, cod, tuna and so much more on the list of our favorite fish recipes, so let’s get cooking! 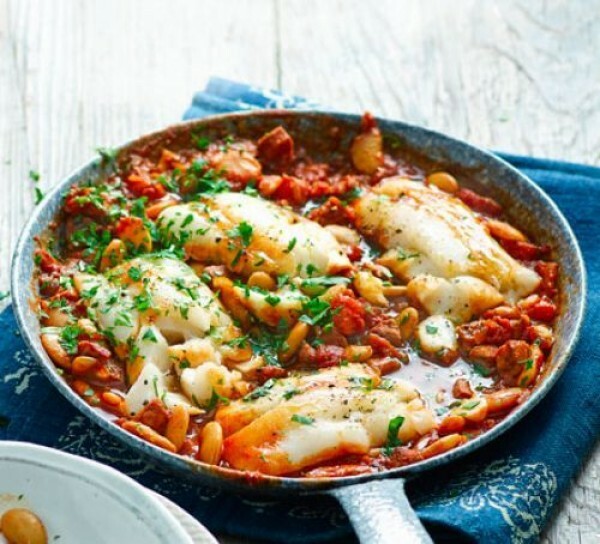 This delicacy of pan smeared cod is bound to wow any seafood lover out there. The combination of fresh basil, juicy tomatoes and garlic gives this meal mouthwatering flavors that will get you yearning for more. Buttered cod drizzled with some lemon juice and served with rice or mashed potatoes results in a truly mouthwatering dish. The cherry on the cake is that the cod takes less than 15 minutes to cook. Add some rich flavor to your roasted cod fillets by marinating with some lime juice. This delicious meal is both healthy and quick to prepare if you’re running late. 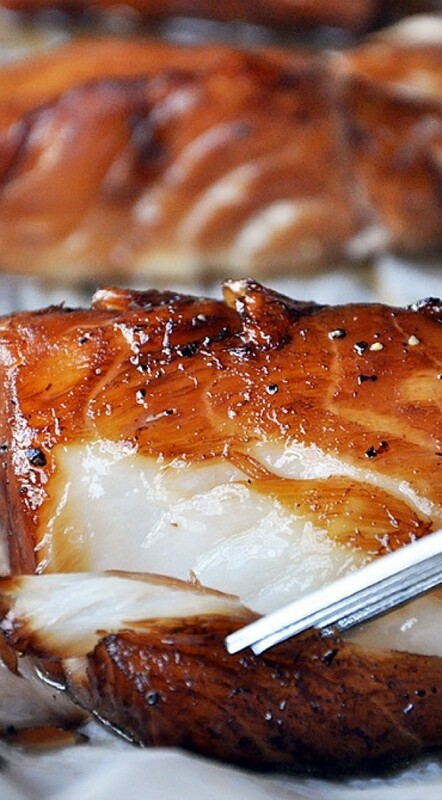 What better way to marinate your cod that with honey. This meal is not only delicious but is also healthy and easy to prepare. Try this recipe today. Dinner in under 20 minutes? This recipe of fish taco rice balls accompanied with pickled onions and avocado will leave your taste buds craving for more. This great tasting seafood meal doubles as a quick and healthy dinner. Experiment with some Thai coconut curry sauce for a tantalizing exotic taste. This recipe is sure to satisfy even the pickiest of eaters. Salmon is a favorite of many, and it’s easy to see why. Blackened crispy salmon and avocado salsa is a unique combination that not only tastes great but is both simple and easy to prepare. 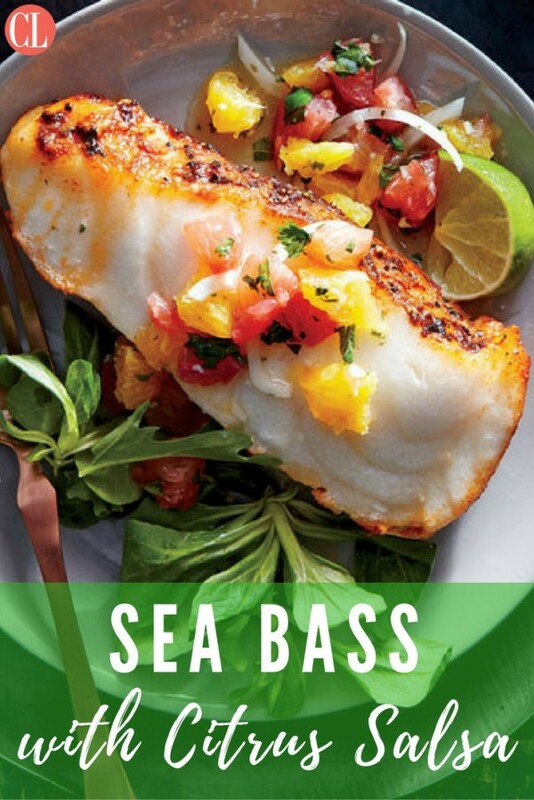 Due to its tender and buttery quality, sea bass is a favorite among seafood lovers. The citrus salsa further compliments an already great meal. You will definitely love this recipe. 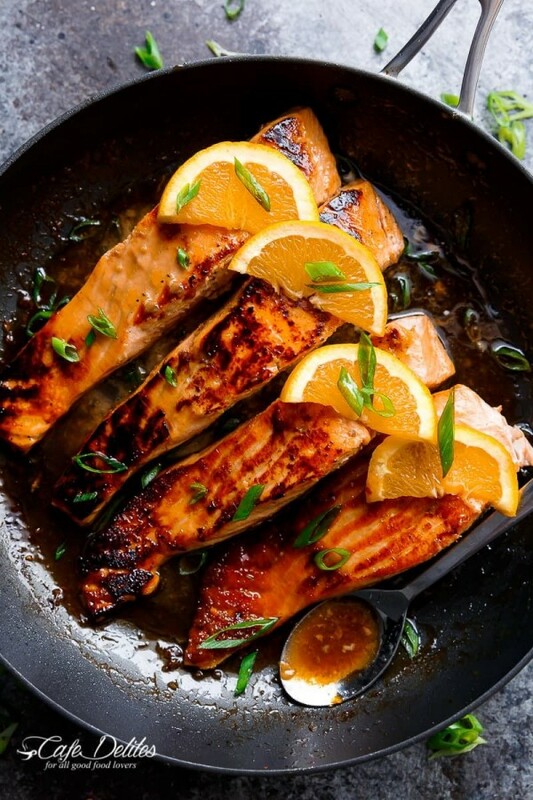 Prepare a wonderful meal of salmon by combining it with honey and lime glaze and garlic. 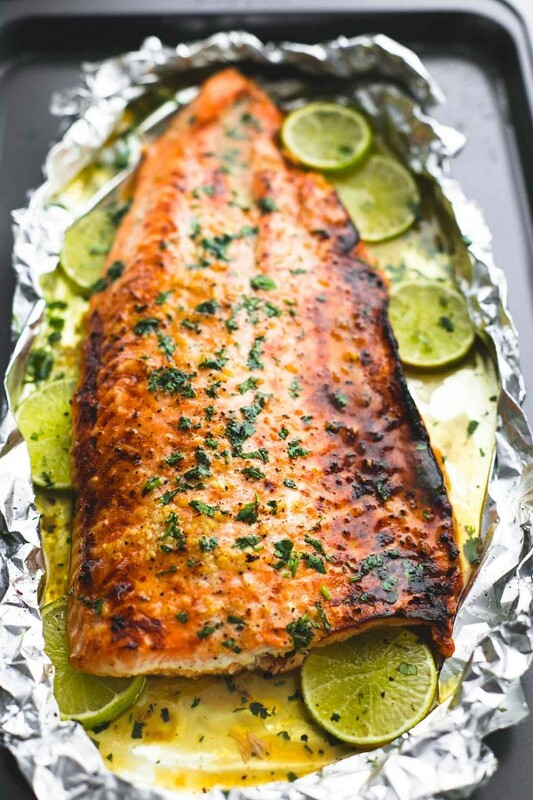 Cooking the salmon over foil makes it tender and flaky. Even the choosiest diner will love this one. Lemon and garlic make one of the best combinations when added to cod. This flavor rich dish is easy to throw up and is best served with brown rice and salad. 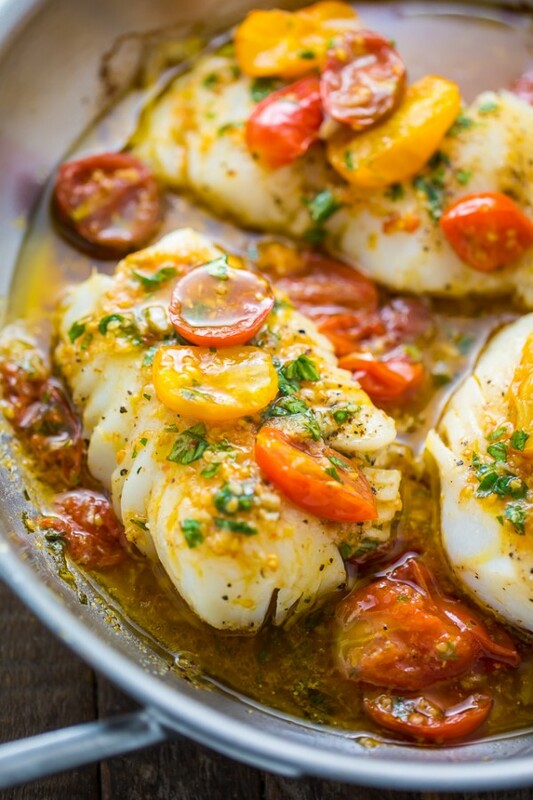 What better way to compliment some mild tasting cod than with a winning combo of tomato and herb butter. The result is a flaky, tender and flavorful that will leave you craving time after time. What makes this meal special is the Mediterranean style sauce that combines garlic, lemon juice, and olive oil. 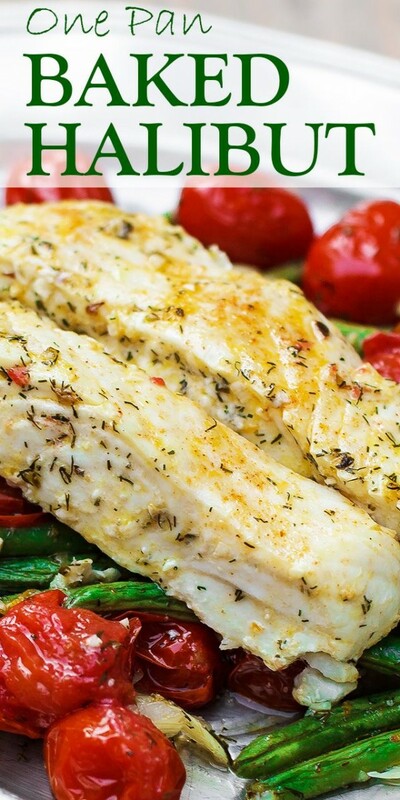 Complete your meal by adding some flavorful cherry tomatoes and green beans to your halibut fillet. 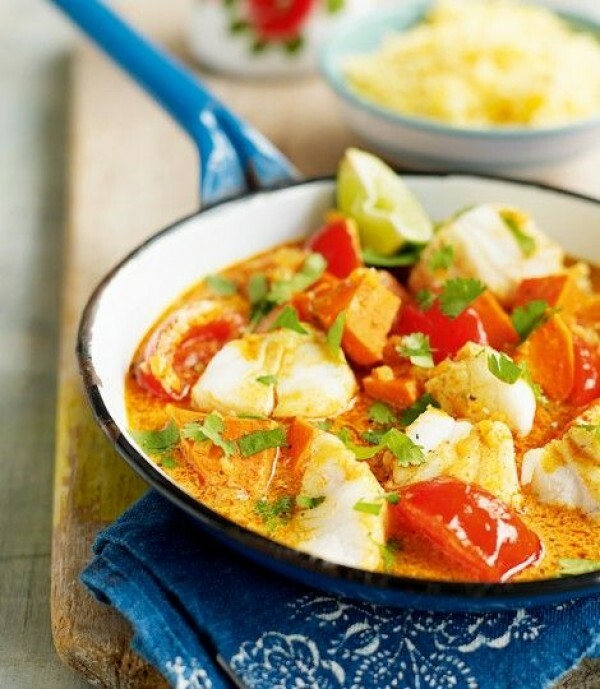 Try this fantastic traditional Brazilian fish stew whose highlight is the sumptuous coconut base broth. The seafood stew can also be made with prawns and calamari for a mind-blowing easy to prepare dish. Here’s a new Orleans cuisine for you to enjoy. Blackened catfish makes for a vibrant meal that’s reasonably easy to put together. Pair it with Cajun rice for a spicy and flavorful dish. This meal is not only a work of art but also tastes great. Compliment your tilapia by stuffing it with a combination of spinach, feta, ricotta, and spices. Teriyaki pineapple sauce makes your pan smeared salmon especially delicious and with a mind blowing aroma. Homemade meals have never tasted better. Give your fried catfish a tasty edge by adding southern spice and garlic bread. Serve this meal at Thanksgiving to get that southern flavor coursing through your veins. Grilled tuna has a tantalizing smoky flavor. Marinating it in cilantro and a generous amount of lime makes for a delicious meal. Try this recipe for the summer. 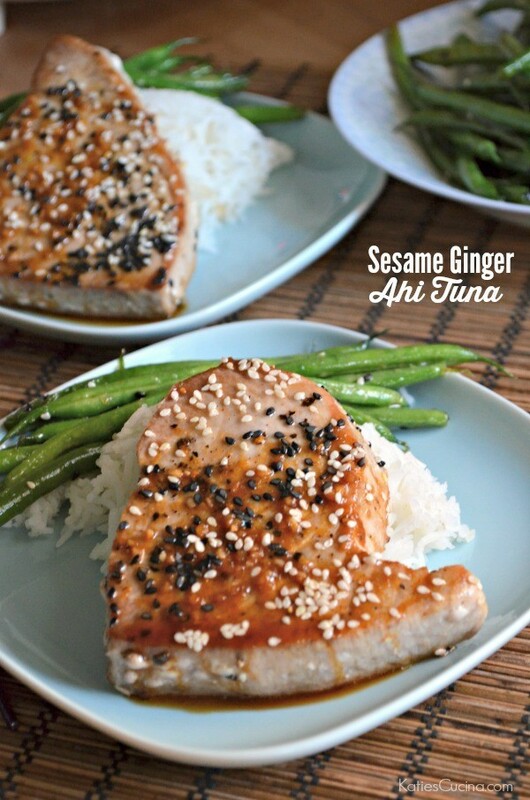 Sprinkle some soy sauce, ginger and black sesame seeds to your Ahi tuna steaks for a rich flavor. This fantastic recipe takes less than 20 minutes to prepare. Here’s another grilled recipe to try out. Grilled tuna kebabs marinated with onions, peppers, and mushrooms make for a stellar meal. This one is best served with assorted vegetables. This simple to prepare meal will wow just about any fish lover out there. Serve this healthy dish for dinner accompanied with rice pudding and salted caramel. An ultra-easy dish to prepare during those busy weekend nights. Spice up your salmon by seasoning with black pepper, red pepper flakes, and salt. Impress your guests with this beautiful caramelized healthy meal. The salmon though icy looking is moist and delicious. Soy sauce and brown sugar salmon is a solid recipe. Give it a try. Yet another salmon delicacy you ought to try out. This hairy looking toasted ginger salmon will get your tongue waging even before you dig in. This gluten-free recipe has a ton of veggies. Season with some garlic lemon and butter sauce for a fantastic tasting meal. 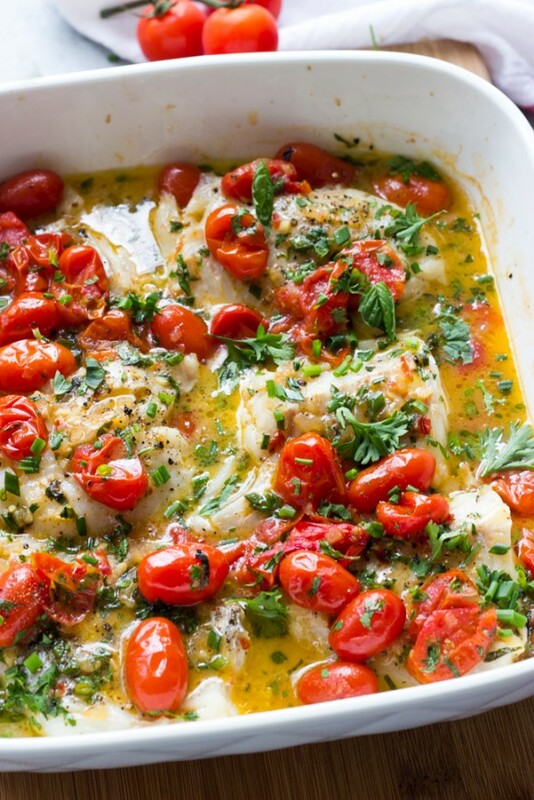 Halibut baked in a flavorful Mediterranean style sauce with lemon juice, olive oil and a good dose of garlic is a meal you are unlikely to forget. The recipe takes 30 minutes to prepare, but it’s worth the wait. Mahi Mahi is one of the sea delicacies that is suited for grilling. 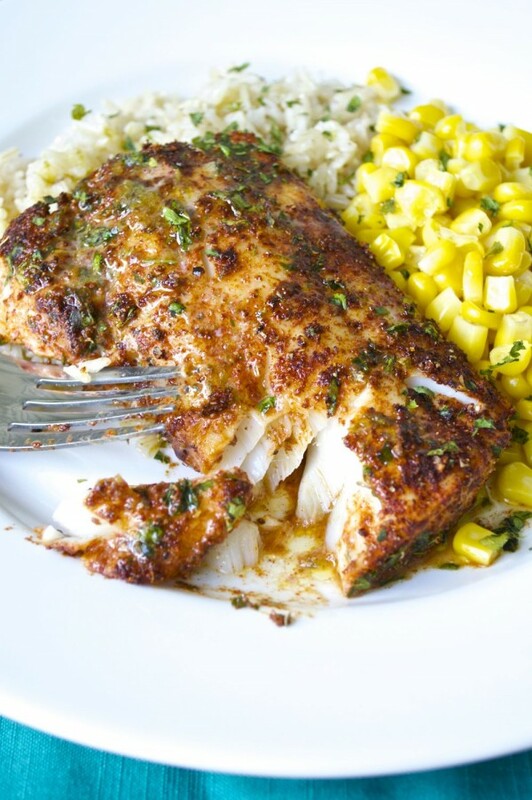 Amplify the taste of your grilled Mahi-mahi by seasoning with cumin and chili powder. Complement the meal with a juicy tropical salsa. This is one of the best and easiest ways to prepare halibut. Add some fresh flavor to your halibut by blending with chopped cilantro and top it off with some lime. This elegant dish features a healthy dose of vegetables. Proscuitto, lemon, capers and buttery cod fillets are one of the best combinations for a seafood recipe. 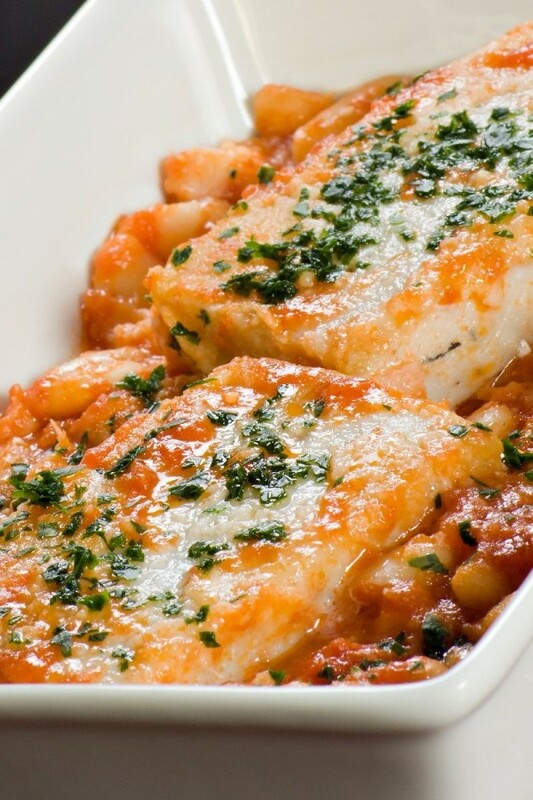 Accentuate the taste of your tilapia by adding some tomato basil sauce for a sumptuous, mouthwatering flavor. Be sure to try out this exquisite flavor combination. This nutritious seafood meal takes less than 30 minutes to prepare. Amplify the taste and flavor in your chorizo stew by cooking it with tomatoes, butter beans, and chopped onions. Craving a hearty comfort meal? Look no further than a creamy fish pie. This all-time favorite seafood will get you licking your plate clean. The mashed potato accompaniment is also highly nutritious. 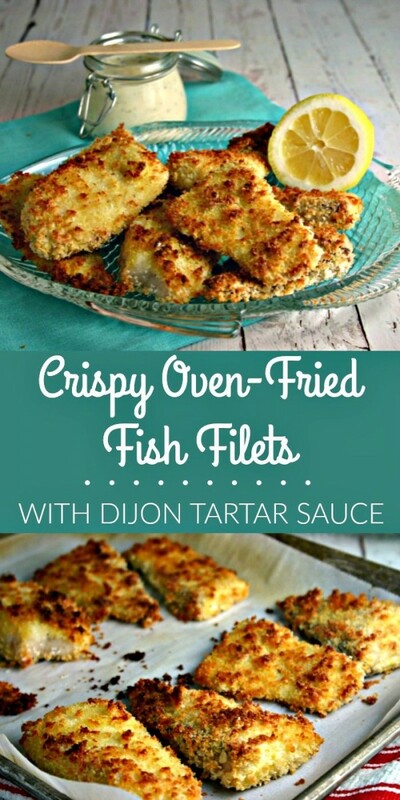 If you can avoid overcooking your fish fillets, you will end up with a profoundly satisfying crispy fish fillet. The breaded fish is best served with tartar sauce and lemon squeeze. Morocco is famous for their spicy flavored dishes, and this one is no different. 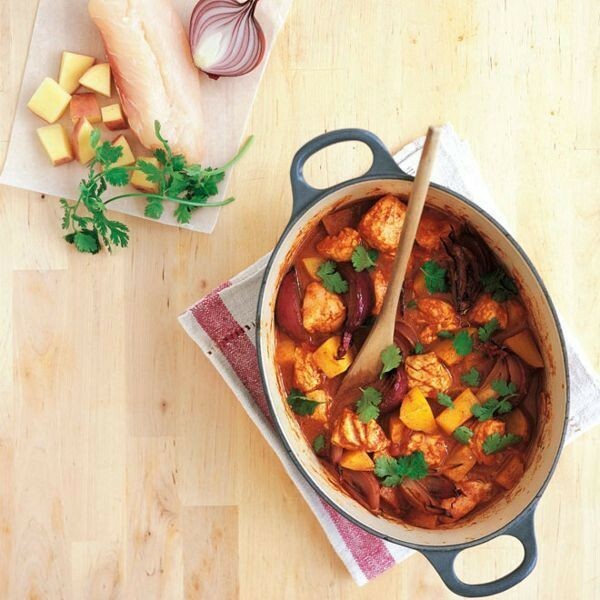 Moroccan tagines feature a concoction of additives such as cinnamon, ginger, coriander, and paprika leading to a meal that is tasty, nutritious and healthy. 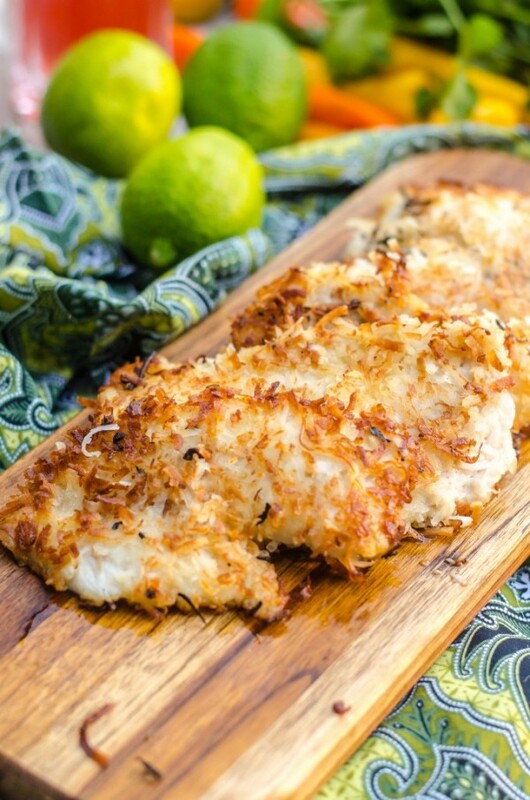 Whole fish recipes have been around for quite a while, and this one does not disappoint. 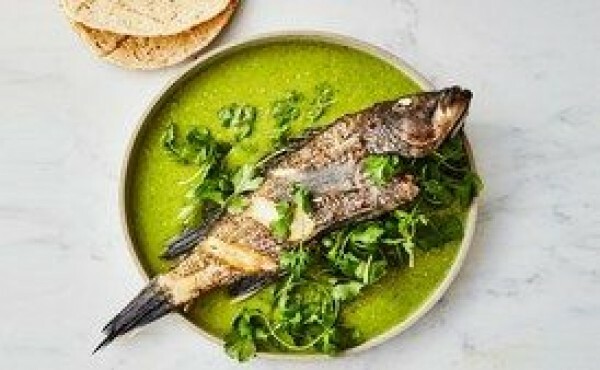 Whole fish tucked with cilantro and served with Tomatillo sauce; it doesn’t get any better than that. Treat your guests to this exquisite and exotic dish, and chances are they’ll be knocking at your door more often. You can never go wrong with sweet potatoes and sprout chips. 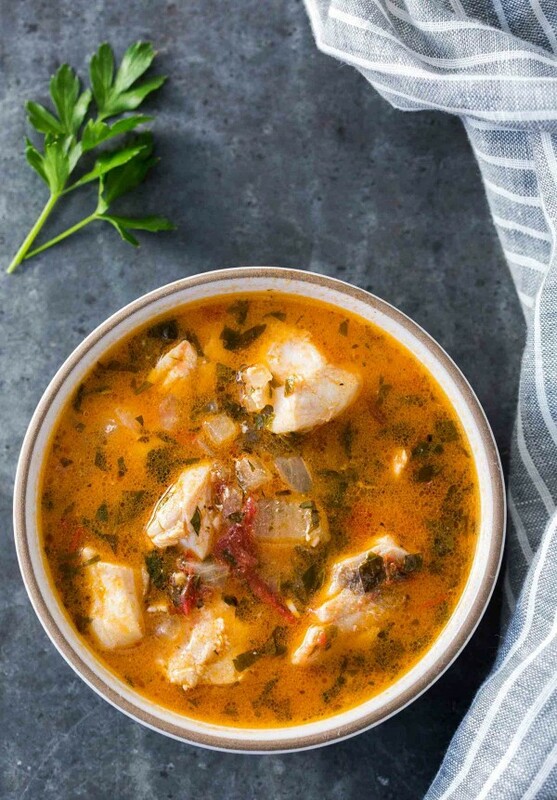 Turn an everyday meal into an absolute delicacy by cooking your fresh fish fillets in a stew abundant in onions, tomato, parsley, and garlic. This recipe is all about making a favorite family meal even better. 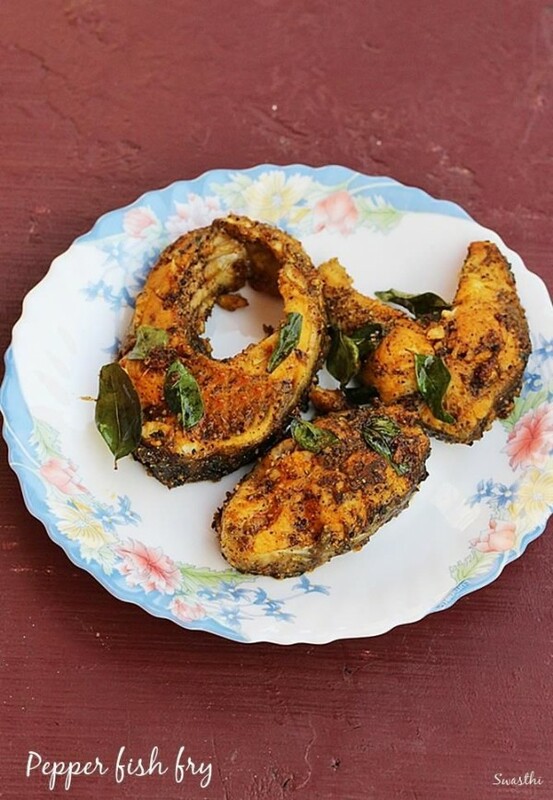 Lemmon pepper and some curry leaves on the side complete this healthy dish of rich crispy fry fish. 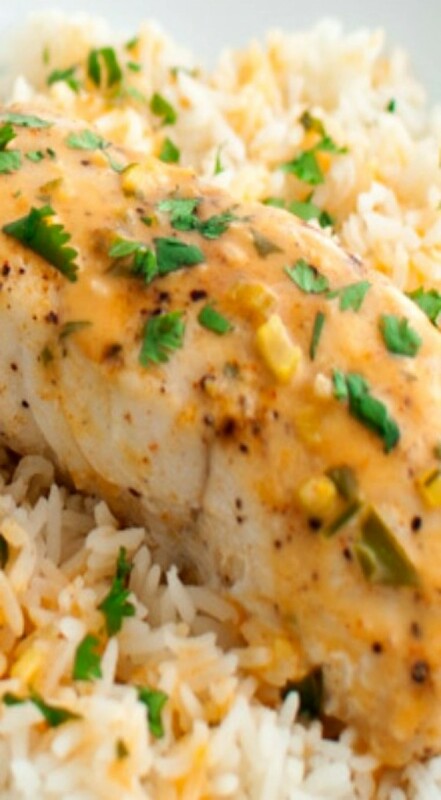 Your kids will love this mild-flavored fish recipe. This exciting fish recipe will take some effort to pull off, but you’ll be glad you did. 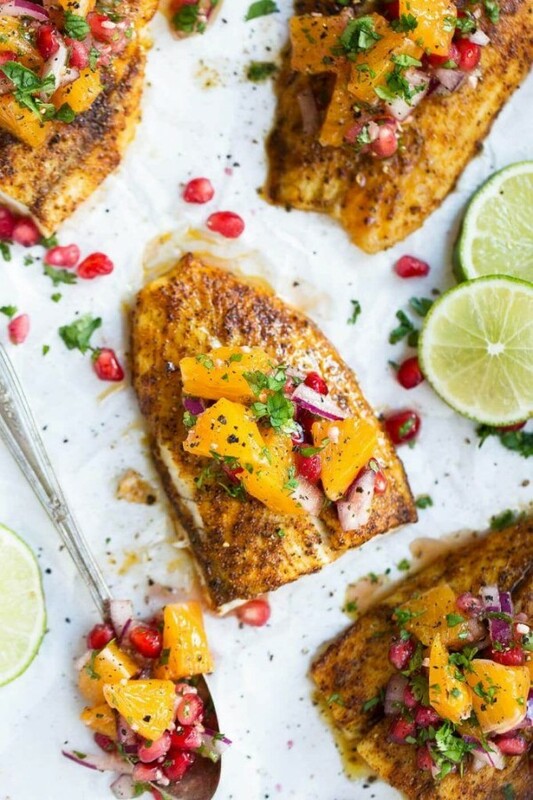 Incorporate some vibrant flavors into your barramundi by mixing it up with some fresh oranges, lime juice, and pomegranate seeds. 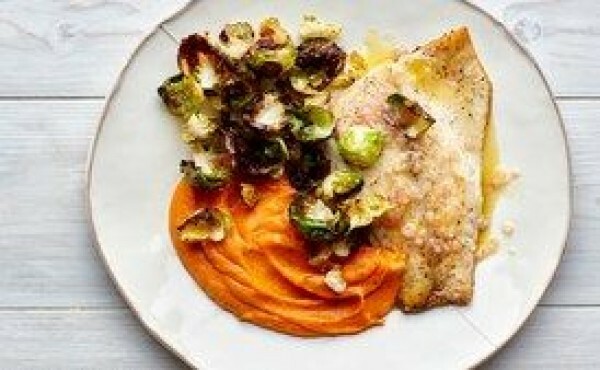 The sweet potato curry makes the fish especially rich in flavor. The whole meal takes less than 20 minutes to prepare which is good news if you are short on time. Moist and full of flavor, this Mexican dish is worth giving a try. The crushed corn chips and vegetables make this a healthy meal. 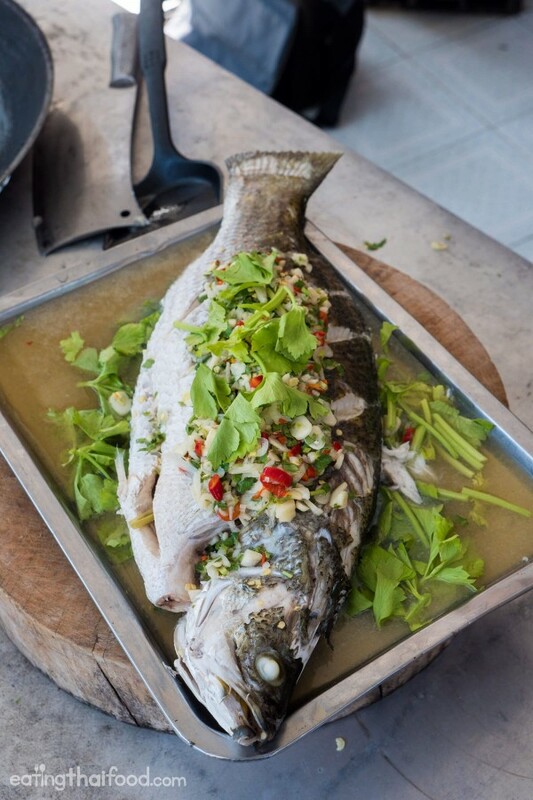 This magnificent Thai steamed fish delicacy served with lime and garlic sauce has a well-balanced taste that bodes well for many people. Even better, the recipe is quite easy to prepare. This is one of the most straightforward fish recipes you can try. 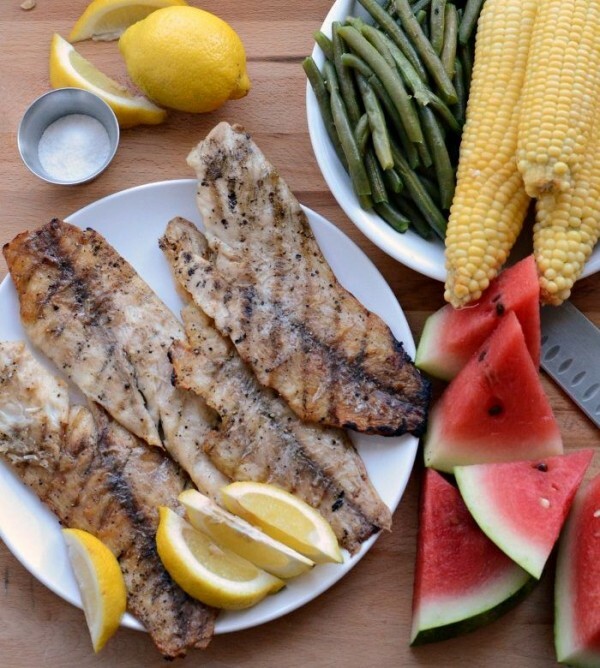 Grilled fish with some lemons, watermelon, and corn on the side makes for a healthy meal. Its simple, classic yet easy to prepare. 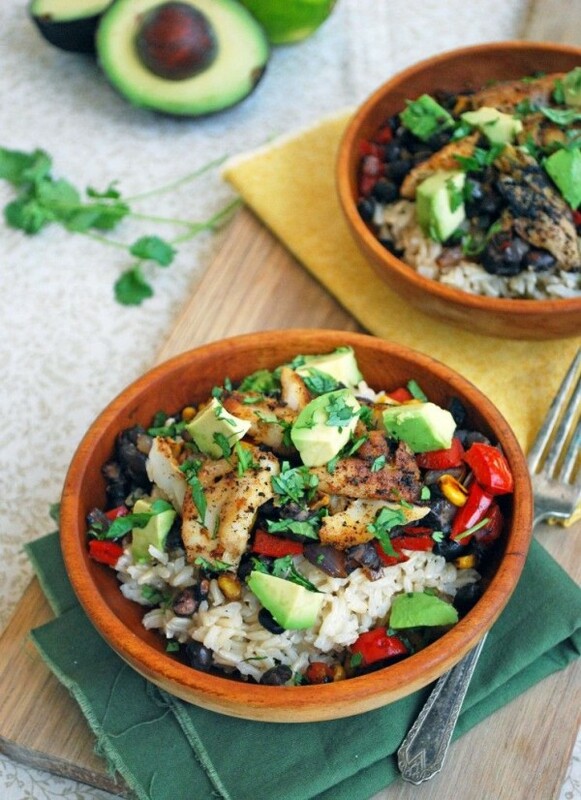 Impress your loved ones by making fish taco bowls a standard feature of your menu. Pseudo vegetarians and meat lovers will enjoy this recipe. 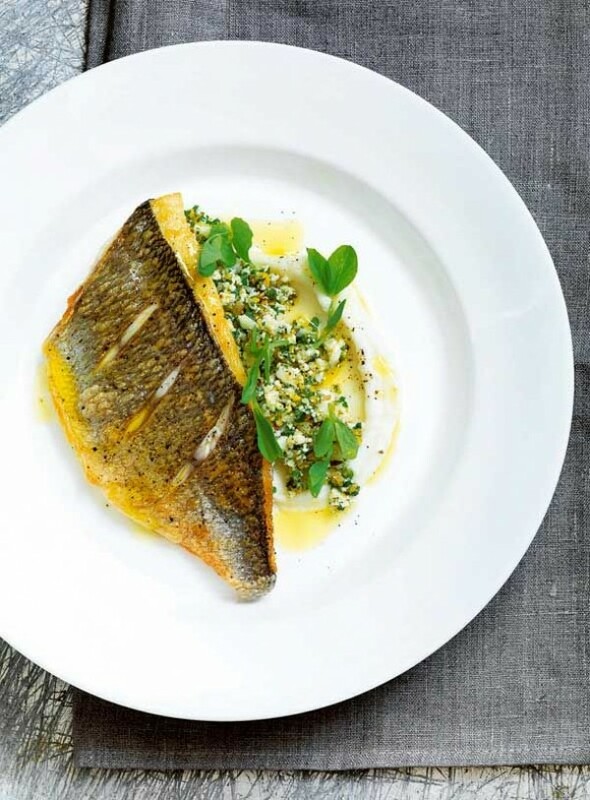 Mashed cauliflower along with preserved lemons and mint is the perfect accompaniment for your pan-fried fish. This healthy conscious dish is also easy and fast to prepare. 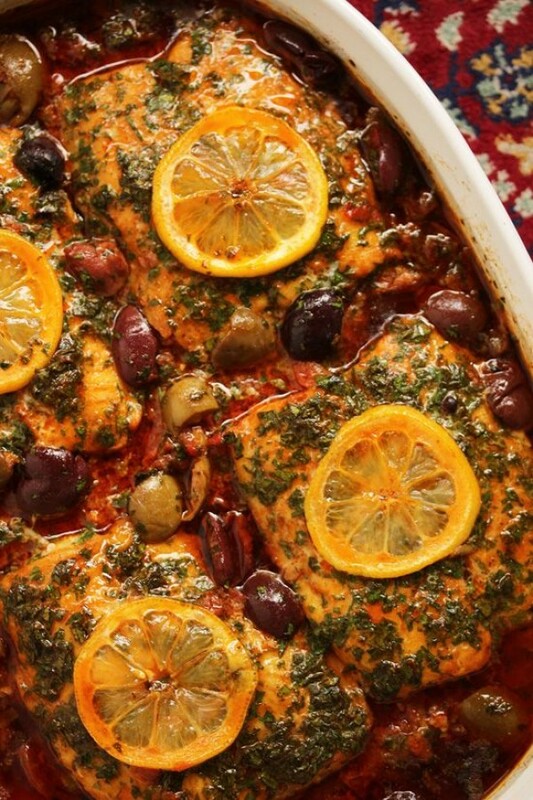 This nutritious heartwarming dish makes use of cinnamon, cumin, and saffron to add a vibrant sweet taste to an already delicious braised fish. Below is a formula on how to prepare it yourself. 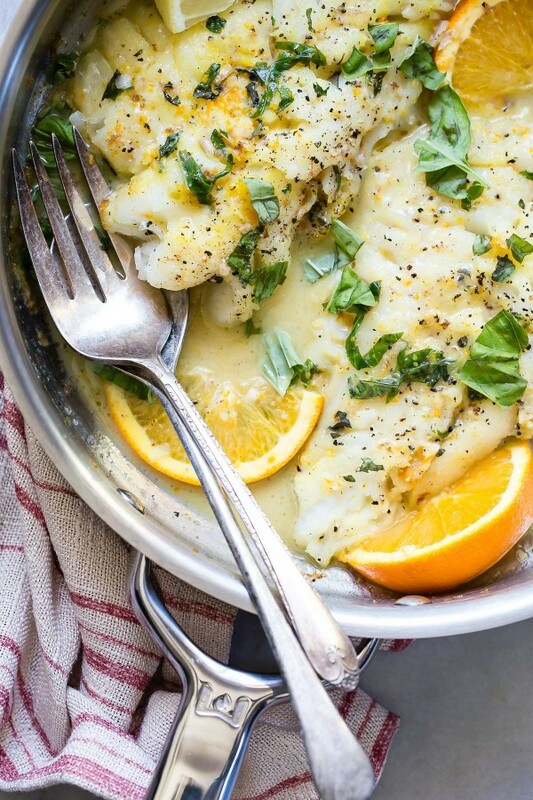 Dress up your pan-fried cod in a citrus flavored butter sauce for a mouth-watering dish. This recipe can double up as quick lunch or a special dinner. Who would have imagined that salmon and honey with orange could combine so well? Here honey, orange, and garlic all work together to form a tasty, flavorful sauce. 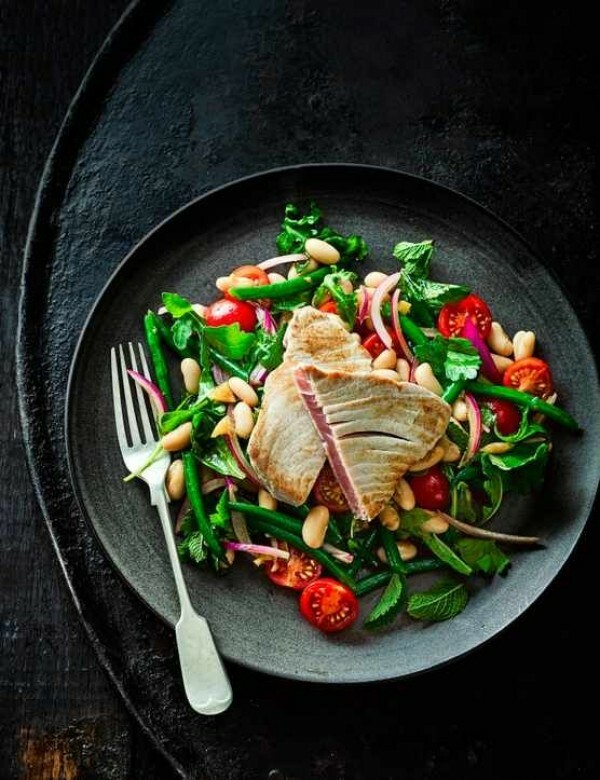 What better way to dress up your tuna steak than with bean salad and preserved lemon? This gluten-free recipe is oddly satisfying. I like to eat fish every 3 days a week and sometimes I just run out of new recipes. I am bookmarking this right away.